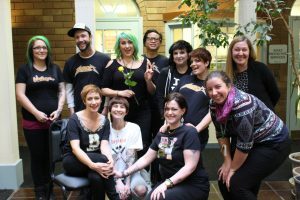 Portland’s hippest barbershop is teaming up with one of its most impactful nonprofits to help neighbors in need this holiday season. To celebrate, Bishops Barbershop will provide free haircuts at Impact NW (10055 E Burnside St, Portland) on Wednesday, Dec. 7th, from 9 am to noon. 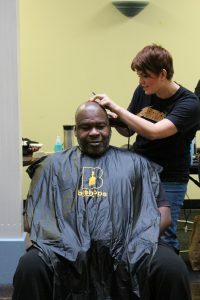 In addition to providing free haircuts, Bishops is anchoring Impact NW’s Holiday Hope Drive. Bishops is hosting giving garlands at its Portland-area locations to encourage its customers—and anyone else who wants to help—to buy holiday gifts for Impact NW’s clients. If you do, Bishops will provide a sweet deal on your next haircut. The Holiday Hope Drive will support more than 3,000 people this year with gifts and coats. Cash donors, through the Drive and through Willamette Week’s Give!Guide, help keep services running strong throughout the year for the more than 36,000 people served each year by Impact NW. Also supporting the Holiday Hope Drive is Living Room Realty, Nike, Propeller Consulting, and Heffernan Insurance. For more information on the Holiday Hope Drive, please visit www.holidayhopedrive.org.